So, remember that dinner I mentioned in my London post, when, post-Prague, I relished in the veggie-forward fare at Scully St. James but then finished it off with a decadent miso caramel and black sesame dessert? Yeah, me too! I can’t stop remembering it, actually. I knew as soon as I tried it in the restaurant that I wanted to recreate it at home in some way. The more I thought about it though, the more I wasn’t sure how. The original dish was a bay leaf ice cream smoothed into a wide ramekin, topped with a layer of miso caramel and then lidded with a crispy black sesame cookie decoratively dusted with matcha and edible flowers. So, yes, that’s delicious, but I don’t know, that felt like kind of a silly thing to make at home. I’d have to spend a lot of time and effort making either one of those or a lot of them, and 1) that’s a lot of work for one ice cream dessert, or 2) a big storage ask for my freezer if I were to make several. But I realized the solution when I had a few friends over for dinner a few weeks ago. I knew I wanted to take the opportunity to make a batch of miso caramel (you know, with other people to help me eat it), and I thought I would just pair it with black sesame ice cream. But I didn’t have the time to make a batch of ice cream, and as it turns out, you can’t just walk into most grocery stores and find a commercially available option for that flavor. So, I simplified. I bought a pint of vanilla ice cream, and served that with the miso caramel drizzled on top and garnished with toasted black sesame seeds. My friends loved it! The combo of the sweet, vanilla flavor with salty caramel and crunchy, nutty sesame really won everyone over, and it was a good reminder to me that sometimes, simple is better. I could have called that a win right there and stopped trying to recreate the original dessert, but I really, really wanted to get the cookie part in there too somehow. So I thought about it more, and I decided on ice cream sandwiches! Who doesn’t love those? And, they are pretty easy, especially if you already have a batch of miso caramel hanging out in your fridge! If you don’t, the caramel is a dump and stir situation that takes no time at all, so that’s not really an obstacle. The obstacle, as it turned out, was the cookies. Shockingly, considering the rise of black sesame in the last few years, I could not find a reputable recipe for black sesame cookies on the internet or in any of my cookbooks! 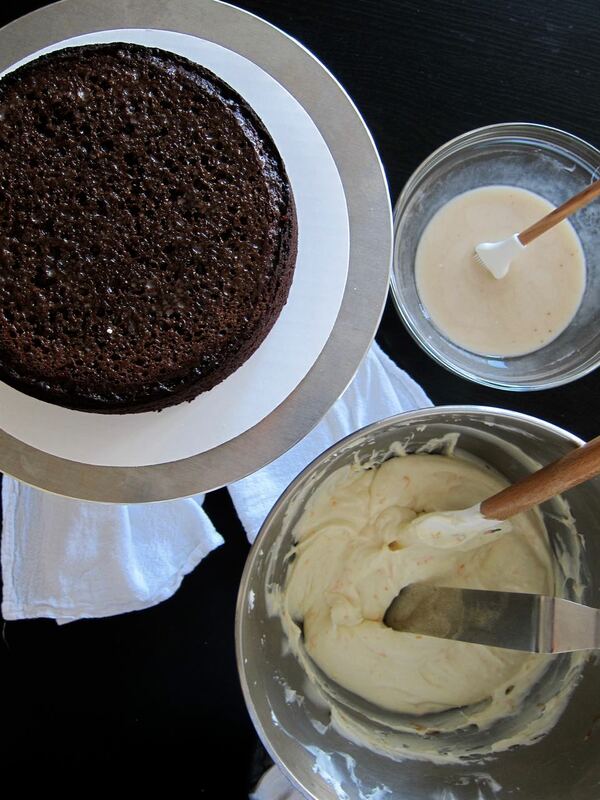 There are a ton of recipes for black sesame ice cream, or black sesame cake, but no cookies. So I did what I had to, and mashed together my own version of an existing recipe. I mean, isn’t that the basis of food blogging anyway?? I settled on an idea of a brown sugar base cookie, and of studding the dough with as many toasted sesame seeds as I thought would be reasonable without overpowering everything. I wanted the sesame flavor to come through without compromising the texture of the final cookie. My first batch was delicious, but not suitable for the ice cream sandwiches I imagined. The cookies puffed into half domes in the oven, looking more like little buns than cookies, and all I could think was that adding ice cream would turn them into softball-sized sandwiches. I tried again with a base recipe from the master herself, Stella Parks, and nailed what I wanted on the first try. I managed to stop myself from eating enough dough so that I ended up with 22 flat, rounded cookies with crisp edges, but centers soft enough not to mush the ice cream out the sides. And adding just enough sesame seeds meant that their nutty flavor comes through to play nicely when sandwiched around the vanilla ice cream and umami-rich caramel. A decadent but grown-up combination, for sure! In the end I decided to embrace the simple approach and skip the matcha garnish, and you really don’t need it outside of the restaurant setting. Who wants to be getting powdered green tea all over their hands, anyway? 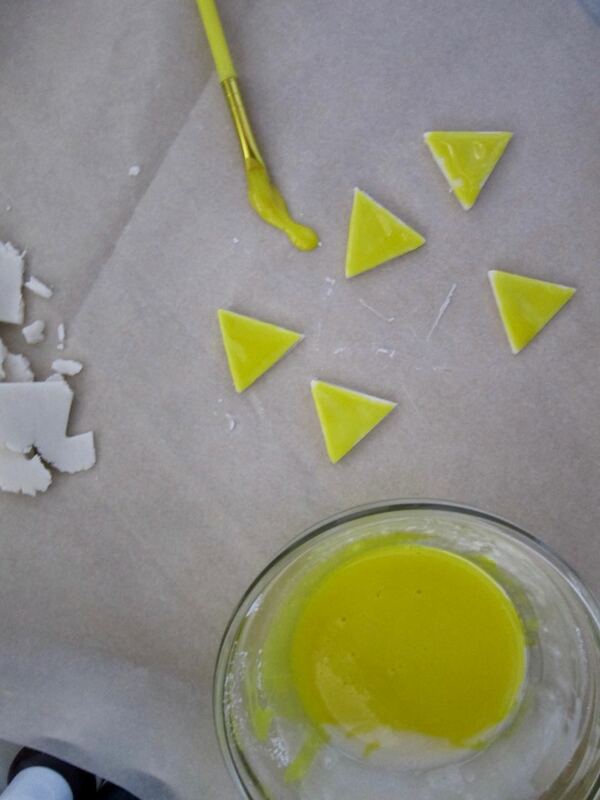 These cookies are not difficult to create, despite having three separate components. Do yourself a favor and buy a couple quarts of good quality vanilla ice cream, and the miso caramel and cookies can both be made ahead, though the beauty of the cookie dough is that you do not need to make it ahead of time and chill. It can be mixed up and baked ASAP. Make the miso caramel. In a small pot, combine the cream and butter over medium heat and bring to a low simmer. In another medium size pot, stir together sugar, corn syrup, and water until everything is moistened. Cook over medium-high heat, without stirring, until the sugar dissolves, and then cook about 5 minutes more, until the mixture turns a deep amber color, swirling the pan every once in a while. When the caramel is the desired color, immediately remove from the heat (do not let it burn!) and carefully whisk in the hot cream and butter mixture. It will bubble up violently so be careful! When everything calms down and the caramel is whisked together, carefully pour into a heat-proof blender, and add the miso. Blend until miso is completely combined, then pour into a sealable container and let cool. Once cool, whisk in the vanilla. At this point, the caramel can be set aside until ready to assemble sandwiches or stored in the fridge for a couple weeks. Make the cookies: Heat oven to 350 and line baking sheets with parchment paper. In the bowl of a stand mixer, combine all ingredients except the egg, flour and sesame seeds. Mix on low speed until starting to combine a bit, then increase speed to medium and mix for 5 minutes, until fluffy and light. Add in the egg and mix until fully combined, then lower speed and add in the flour a bit at a time until fully combined. Lastly, stir in the sesame seeds until well-distributed. Measure out dough into 2 tbs size portions and form into balls. Place 2 inches apart on baking sheets. You will have to bake in batches depending on the size of your baking sheets; the most I could fit on one without risk of smooshing was 9 cookies. Bake until puffed up and crackled on top and deep golden around the edges, 10-12 minutes. Cool cookies on the baking sheets for 5 minutes, then transfer to a cooling rack to cool completely. Assemble the ice cream sandwiches: On a large baking sheet, pair up your cookies and transfer to the freezer to chill for 30 minutes. This will help the ice cream not immediately melt. Once chilled, separate the cookies, and spread a tablespoon of caramel on one half of the cookies, and a scoop of ice cream on the other half. Sandwich them together, then transfer back to the freezer to chill. Overnight is best to really make sure they are solid, but a couple hours should do, too. Ice cream sandwiches can be wrapped in plastic and stored in the freezer. For soft, chewable cookies that won’t squeeze the ice cream out when you bite into them, start checking for doneness at 10 minutes. I baked the full 12 for my cookies, and they softened a bit after sitting in the freezer with the ice cream sandwiched between, but I could have baked them for less time and been happy. I got 23 cookies from the recipe, you can probably get a full two dozen if you go a little lighter on the dough snacking than I did. Hello! It’s the end of the year and I guess I’m feeling reflective, so pardon the long, long post! If you just want to read about drunken gummy bears on cake skip below the rest of the photos! It’s been a bit more than a minute since my last post. I’m realizing as I write this that I dropped a cake here, took a months-long hiatus, and came back with another cake. But it’s fine! Because the seasons have changed and my mood has apparently gone from summery, festive sprinkles and fresh fruit to wintery, boozy delinquent gummy bears. So why the break? Unlike my last hiatus, I didn’t plan it, but then I made the last cake and it took forever to motivate myself to post about it. And once I did, I just didn’t feel the urge to come back to this space. I didn’t want to take any photos or write up any recipes, and aside from a random small batch of cookies or indulging a brownie craving, I didn’t bake at all for a few months. Who even am I? Part of that was logistical. I went to Australia again for work and then treated myself to a mini vacation (I will have to post about it because it was unreally beautiful). After almost three weeks of eating every meal out, I came home and only wanted to cook myself salad. The other part was just mental. I was uninspired and unmotivated, and I simply needed a break. Unchecked, I have a tendency to turn this site into another full time job, and I was starting to feel like I had no time to spend with friends or just myself. Stress is so often self-induced, and I was inducing like crazy. So, since I’m trying to remove the guilt of letting myself have a break from my 100% self-imposed schedule, I took one! I erased my editorial calendar. I went to the beach! I went to Waco and celebrated Thanksgiving with friends and ate tacos and brisket and beer. I tried not to panic at not adding fresh content to the site, or not contributing a single recipe to the already over-filled pumpkin/turkey/stuffing ecosystem online. Absolutely no one missed anything, and I got to binge dumb holiday movies on Netflix and go outside on the weekends. And then, well, I had to decide what to do. Out of habit, I just kept adding ideas to my list of recipes I want to post here, so I obviously hadn’t given up on the idea of the blog. But also, after years of saving spare cash here and there, I finally saved up enough to buy a real lens for the real camera I have stashed in my closet, one that could take my photos from “meh” to “just ok”! I did research, I compared prices, and I came very close to purchasing a lens. And then I paused. Which made me think. There is a special kind of decision paralysis that comes from fear. And I think that’s what it is. I have fear that I’ll just accidentally walk away from this forever. The truth is it takes a lot of time and energy to product something that pays me $0. Fortunately, I’m not trying to rely on this blog for money, but my time is valuable too. And yet, there is a part of me that doesn’t want all this time and effort to be for nothing. Will creating this only for myself be enough? Will my crappy photos continue giving me feelings of failure? So, I worry that one day I will decide that it’s no longer worth it. And then I’m really going to wish I’d spent that camera money on something else. I don’t know the answer yet, but I’ll keep posting as I want, with my crappy camera for now. So below, enjoy some “meh” photos of a very not “meh” cake! This cake came from the idea of a traditional holiday fruitcake. You know the fruitcake that gets sold with the really gross looking, fluorescent bits of cherry and whatever other stuff that is super seasonally appropriate with bits of green and yellow and red? Yeah, no one wants to eat that. But what people do like to eat, that have a similar color scheme, are gummy bears. You see where I went with this. Unfortunately, gummy bears cannot be baked into a cake, since they are like 100% sugar and gelatin, and so have a tendency to melt. But they can be soaked in spiced rum and scattered between two layers of gingerbread cake in a pillowy drift of cream cheese frosting. Again, you see where I went with this. This cake is weird. I know it’s weird, you know it’s weird. I almost didn’t bring it to my friend Christiana’s house after telling her I would arrive with dessert, because I looked at the final product and I was momentarily afraid I wouldn’t have friends anymore if I showed up with this cake. But I found my nerve and I’m so glad I did. The cake was a hit! 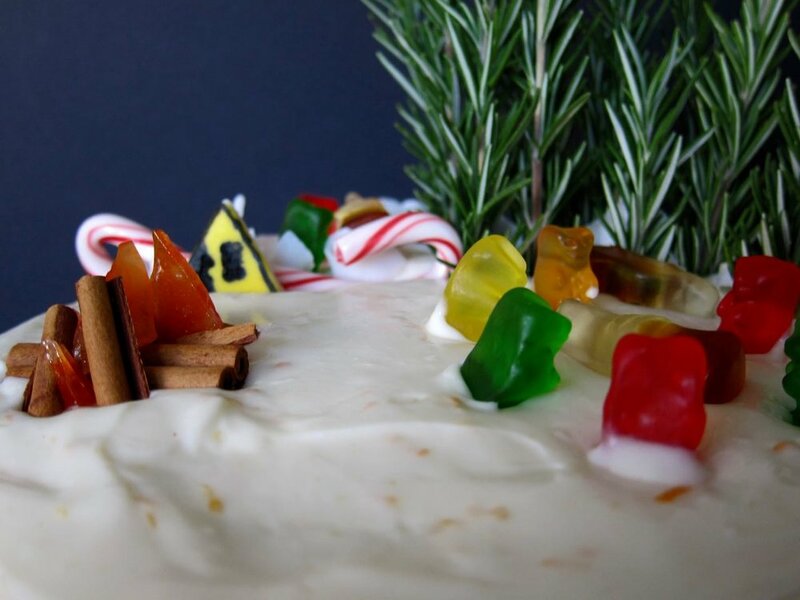 The orange-scented frosting pairs wonderfully with the dense gingerbread cake, and the boozy gummy bears in the middle, while a bit strong and sharp on their own, meld into the cake so well they almost disappear (Seriously, we couldn’t find them! Either there was a gummy bear thief or they all got pushed into the half of the cake that wasn’t cut. But the little bits we got were fantastic). The gummy bear soaking liquid then gets mixed into a glaze and dabbed onto the cake layers before frosting, for even more rummy goodness. It’s a boozy cake, and it definitely looks a bit drunk, but you can moderate the booze as you like or leave it out entirely. Either way, I’d give the gummy bears a try! You do not have to decorate your cake with a dystopian scene of drunk gummy bears playing spin the bottle by the fire and sneaking off into the woods to plummet to their deaths, however. I just have a dark sense of humor sometimes and I entertained myself immensely creating my little dark tableau. Adapted from Faith Durand. I subbed in date syrup for half of the molasses, which lends a more caramel, less bitter flavor than the blackstrap molasses originally called for, and I added orange zest to the frosting, which adds a floral, citrusy note to the tangy cream cheese. In a small bowl, add the gummy bears and then enough rum to fully cover the gummies. Transfer to the refrigerator to soak, at least 5 hours but more if you want. The longer they soak the mushier they will get, and the boozier too. Make the cake. Heat oven to 350 degrees and butter two 8-inch cake pans (see notes). In a pot over medium heat, add the butter, molasses and date syrup, and the sugars. Whisk everything together until smooth and the sugars have dissolved. It should not look grainy and the butter should be completely melted. Remove from heat and set aside to cool. In a large bowl, whisk together the salt, flour, spices, baking soda, and cocoa. Add the vanilla, eggs, and milk to the cooled molasses mixture (it helps to add the milk first to make sure you won’t be scrambling your eggs!) and whisk to combine. Pour the liquid into the dry mixture and whisk until completely combined and smooth. The batter will start to bubble a bit as the baking soda reacts, so work quickly so you can save that action for the oven. Divide the batter between prepared cake pans, reserving some for a little mini cake or cupcakes, or discard, (or bake it all in the 8-inch pans, just allow for longer baking times). Bake for 35-40 minutes (test for doneness at 35) until a toothpick inserted in the center comes out clean. Cool for 30 minutes in the pans and then run a knife around the edges of the cakes and invert to cool completely on a wire rack. While the cakes are cooling, make the frosting. Using a mixer, whip the cream cheese until smooth and fluffy on high speed for several minutes, then scrape into another bowl and set aside. In a pot over medium heat, add the flour, sugar, salt and milk and whisk until smooth. Keep whisking as you bring the mixture to a simmer. It will thicken up once it reaches a simmer, and keep it bubbling for another minute, then pour into the mixer bowl. Beat the mixture on high speed for 10 minutes, until cool and lightened up a bit. While the mixer is running on medium speed, slowly beat in the cream cheese until everything is smooth and combined. Add the vanilla and orange zest and beat until smooth. Transfer to the fridge to chill and firm up a bit. When ready to use, beat it with the mixer again or give it a few vigorous turns with a rubber spatula or wooden spoon. Assemble the cake: when layers are cool, level them if needed. Drain the gummy bears and reserve the soaking liquid. To the liquid, add enough powdered sugar to create a thin glaze, then apply as liberally as you want to the leveled cake layers. If you want it super boozy skip this step and just add the rum. It’s the holidays! On top of one of the glaze layers, spread half of the frosting. It will seem like a lot but the cake demands it. 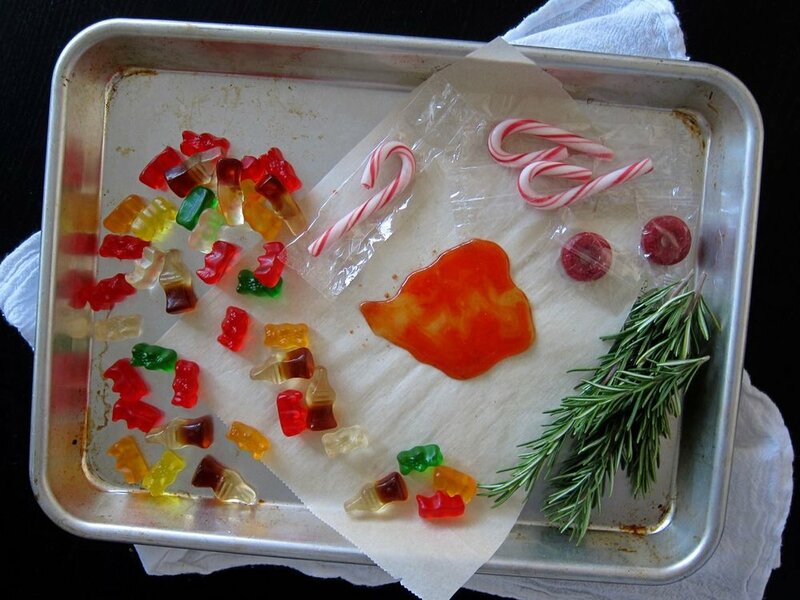 Scatter your boozy gummy bears on top of the frosting. I chopped them up a little to help with this, but you can leave them whole too. Top with the second layer, and spread the remaining cream cheese frosting on top. Decorate if you wish with more gummy bears or other candy. Follow those gingerbread house vibes! The original recipe calls for using two 9-inch cake pans, but 9-inch is huge, and I only have 8-inch pans anyway. I originally tried to reduce the recipe to yield less batter for the 8-inch rounds, but that resulted in wonky measurements, so I left the original amounts called for in the recipe and just baked off a little mini cake with leftover batter. Based on the thickness of the cake layers, I probably could have just halved the recipe and baked two thinner layers in the 8-inch pans, so there are options. Just make sure you adjust oven times if you are baking thinner or thicker layers. I’d start checking around 25-30 minutes for doneness with thin layers and be prepared to bake longer than 40 minutes for thicker layers. It’s that time of year! The calendar has officially turned from Summer to Fall. There are bins of pumpkins overflowing outside every grocery store I frequent, retail decor is ranging from Halloween to Christmas, and Trader Joe’s is an explosion of Pumpkin Spice EVERYTHING. Meanwhile, Karl The Fog has taken his annual vacation (or seems to be thinking about it at least), which means it is finally SF Summer, which means I’m coming at you today with blackberries! And sprinkles! I made this cake twice. The first time, I was supposed to make it for my friend Mercedes’s baby shower, but then she unexpectedly went into labor the day before, and so I was off the hook, but still kind of had it in my head that I wanted to make a cake. So I made a tiny taste-test version for myself, and then, when I saw Mercedes a couple weekends ago, I made her a bigger version, because I felt that after having a baby, especially after that, she still deserved a cake! I’m really happy I had multiple opportunities to test this one out! I knew I wanted to combine funfetti with blackberries, exactly the way Salt and Straw did it with their Birthday Cakes and Blackberries seasonal flavor earlier this Summer. It sounds weird, but the tart blackberries really compliment the sugar high of vanilla and sprinkles, and together, they make magic. But which funfetti recipe to use? Claire and I made the Milk Bar recipe for our royal wedding viewing earlier this year, and it was so, so good, but I’d also been wanting to make the other funfetti cake that broke the internet, and try out Molly Yeh’s recipe. So I tried both! For the first taste test version, I made a mini version of Molly’s cake, but using with swiss meringue buttercream to cut down on the sweetness and real vanilla extract. For one, I couldn’t find any clear imitation vanilla in the store (but I did find butter extract. Excuse me, WHO is using this???) and I also thought that maybe real vanilla would pair better with the blackberries. It was tasty, but fussier to make, with the need to separate eggs and bake the layers in separate pans. So, for the second version, I went back to the Christina Tosi cake, baking up the batter in a quarter sheet pan, then stamping out the layers with a 6-inch cake ring. I used the milk soak she calls for, and the swiss meringue buttercream again, but this time I flavored everything with clear imitation vanilla (which I now own a full 32 oz of, if you know anyone who needs some). I LOVED this one! The milk soak keeps everything moist, the imitation vanilla gives you exactly that nostalgic funfetti flavor we all remember, the frosting isn’t too sweet, and the blackberries zipped right through everything. The result was festive and summery and full of both jammy and fresh berry flavors. It’s a new favorite for me, and I was going to use the leftovers in my freezer to hang on to Summer as long as the weather stayed hot,* but then the weather cooled down. And also, I ate all the cake. *AKA, mid-70s. Sorry, I am ruined. Cake layers adapted from Christina Tosi. Bake the cake: Heat oven to 350 degrees. Spray a quarter sheet pan with cooking spray and line with parchment. Set aside. In the bowl of a stand mixer, combine the butter, shortening, and sugars and beat on medium-high for 2-3 minutes, scraping down as needed, and then add the eggs and beat another 2-3 minutes on medium-high. Turn the mixer to low and pour in buttermilk, oil and vanilla extract. With speed on medium-high, beat for 4-6 minutes, until the mixture is very, very pale, almost white, and almost doubled in size. When you see no more streaks of fat or liquid in the batter, it is ready for the dry ingredients. Add the cake flour, baking powder and salt, as well as the 1/4 cup of sprinkles, and mix for no more than a minute, just until everything comes together. Spread the batter evenly into the prepared cake pan and then sprinkle with remaining sprinkles. Bake 30-35 minutes, until puffed and no longer jiggling in the middle. Cool cake completely in the pan, on a wire rack. Make the frosting: Set bowl of mixer over a pot of simmering water, and add the egg whites and sugar and whisk to combine. Continue whisking until sugar dissolves and mixture is very warm to the touch, or reached 160 degrees on an instant read thermometer. Transfer bowl to stand mixer and beat egg white mixture with the whisk attachment on high speed to stiff but not dry peaks. Continue beating until fluffy and cooled, 6 minutes. Switch to the paddle attachment and beat on medium-low speed, adding the butter a bit at a time, beating well after each addition. Beat in the vanilla and then beat on low speed for about 2 minutes more, to reduce any air bubbles. To assemble: with a 6-inch cake ring, cut rounds out of the cooled cake, one at the top left corner and one at the bottom right corner. Then cut two half circles as large as possible out of the scraps. Dab a bit of frosting onto the center of a 6-inch cake board, and place in the cake ring. Place the two semi circles in the ring, then fill in the gap in the middle with some of the remaining cake scraps. You want to pack it tight so it forms a sturdy base layer. In a small bowl, mix together the milk and vanilla, then brush 1/3 of the mixture onto the cake layer. Spoon a layer of frosting over the soaked cake, then a few small spoonfuls of the jam. Top with the next cake layer and repeat. Top with remaining cake layer, brush on remaining milk soak, and then frost the cake as desired. You should have enough frosting to fully cover and do some fun piping if you want. Top with fresh blackberries and more sprinkles and enjoy! When shopping for rainbow sprinkles, go with the bright, neon, artificially colored ones. This is not the time for natural sprinkles. Also? Check the ice cream aisle! You will probably find much bigger containers of sprinkles, and cheaper than the little vials sold in the baking aisle. But check both! I’ve found the same large tub of rainbow sprinkles in both aisles in the past.